Want to know what are the best Premium Responsive WordPress Themes, their price, features and why you should use them. Read this guest post by Mary Scott. Themes are one of the most important part of WordPress. With WordPress themes, you can create the different type of powerful and beautiful websites very easily. 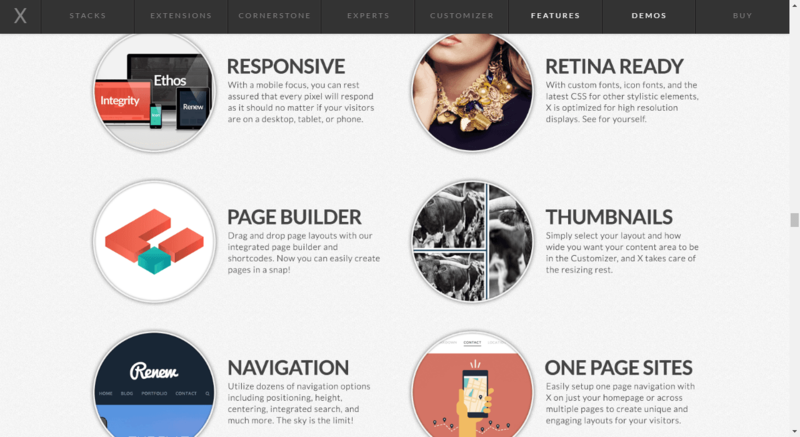 In this article Mary Scott has listed 10 Best Premium Responsive WordPress Themes. WordPress is one of the most popular CMS at the present time. It has been used as a website development platform by the developers around the world. 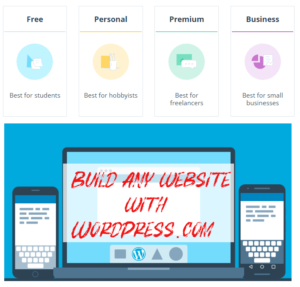 WordPress has made it easy for a common user to own a website or a blog without having sound coding skills. WordPress offers the flexibility to customize your site according to your needs using plugins and themes. An effective theme not only gives an impressive look to the website but it can also enhance the overall performance of the website. Let us have a look on some of such themes which can really help you in improving the performance of your WordPress website. 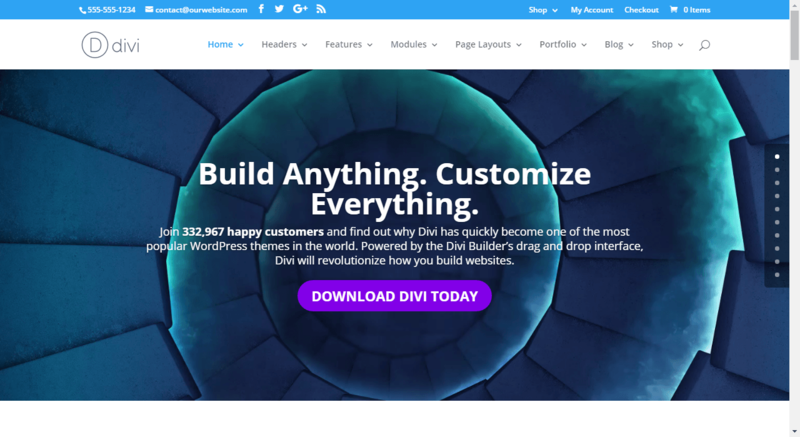 Divi is one of the best drag-drop page builder theme. It is crafted to provide a great flexibility and can be used for any kind of Website. It has a solid Framework and comes with some tools and options which offers a better controll over the design and structure of the website. X is a nicely crafted theme with a fully responsive design. It is one of the most popularWordPress themes. It is designed according to the needs of online marketers. It comes with a Mega Menu which makes your website easier to navigate for the users. It is loaded with a number of shortcodes which helps in completing the work faster. It comes with an intuitive drag and drop page builder. It offers a responsive design. It comes with four uniquely designed Stacks. 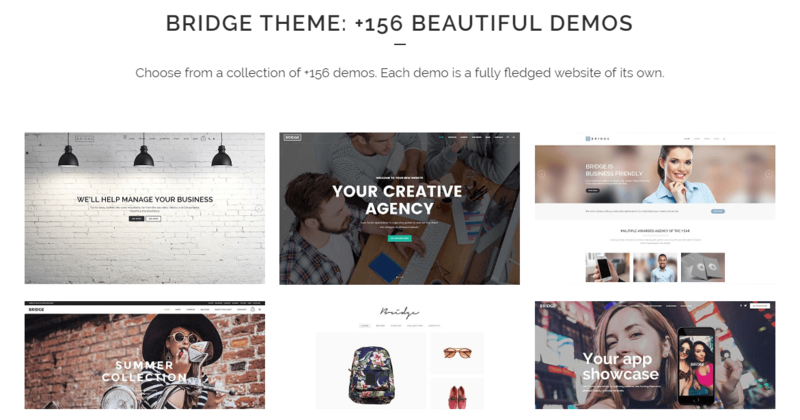 With 44,000+ sells, Bridge is another Top Premium WordPress Theme. This top selling WordPress theme supports Internet Explorer 9 or later and all modern browsers. Bridge has a huge list of demos (145+ demos). 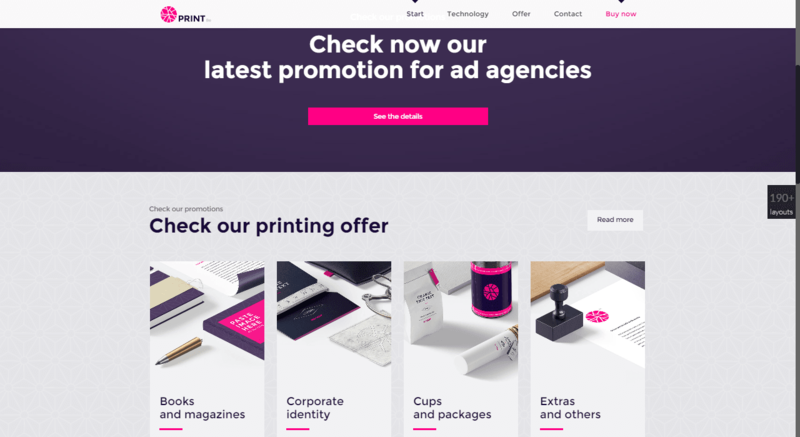 Bridge is fully compatible with WooCommerce, It means if you are going to create e-commerce websites, you can set up a beautiful and powerful online store with Bridge theme. 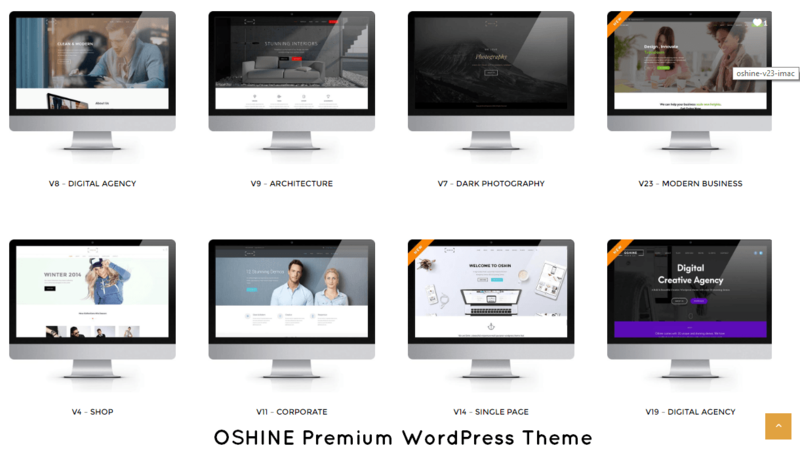 Oshine is a dynamic and multipurpose WordPress theme loaded with some amazing features. It comes with a custom drag and drop visual page builder. It enables you to generate static layouts. It has unique capabilities for creating static website, static web page and single page website efficiently. It is designed in a way that it can suit any kind of website. It is a fully responsive theme. It comes with a number of premium slider features. It comes with pre-included demos. 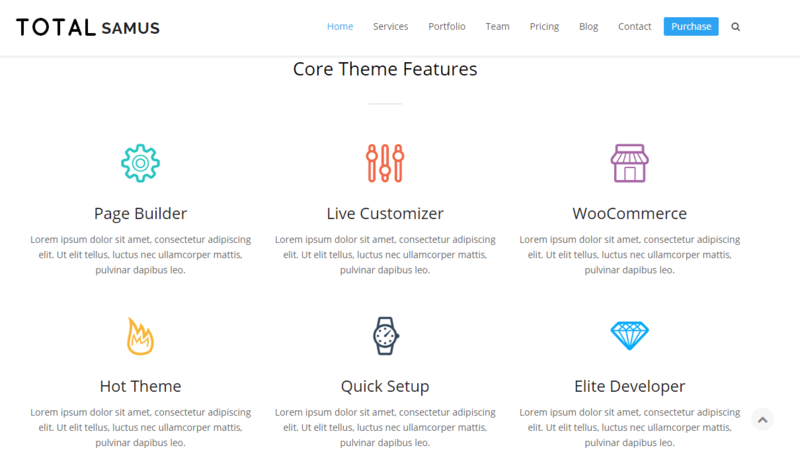 BeTheme is an impressive multipurpose wordPress theme. You can use this theme for any purpose you like. It comes with the a 5 and a 6 column layout features which help in creating a more engaging layout. It is loaded with the dual sidebar feature which enables you to have a sidebar on both sides of the website. This theme helps to reduce the load times of your website. The website content is displayed through the AJAX Load More function. It comes with a Dual Sidebar feature. It is loaded with a 5 and a 6 column layout. It comes with a Flexible and Responsive Framework. 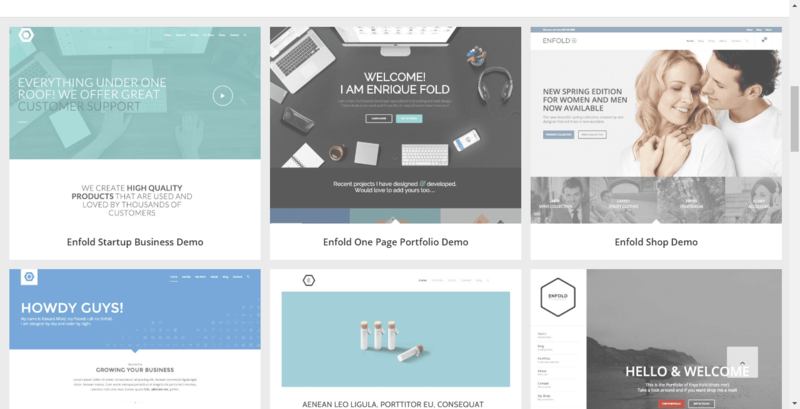 Enfold is a beautifully designed WordPress theme. It includes some interactive theme features like tabs, slideshows, galleries etc. Enfold theme is has a responsive design and fits every screen size easily. It enables you with the drag and drop functionality which helps in creating amazing layouts. It comes with WooCommerce integration and makes it a great choice for eCommerce websites. It provides you an easy to use Admin Panel. It comes with a number of predefined skins. It has a fully Responsive design. It comes with extensive documentation and Child theme support. 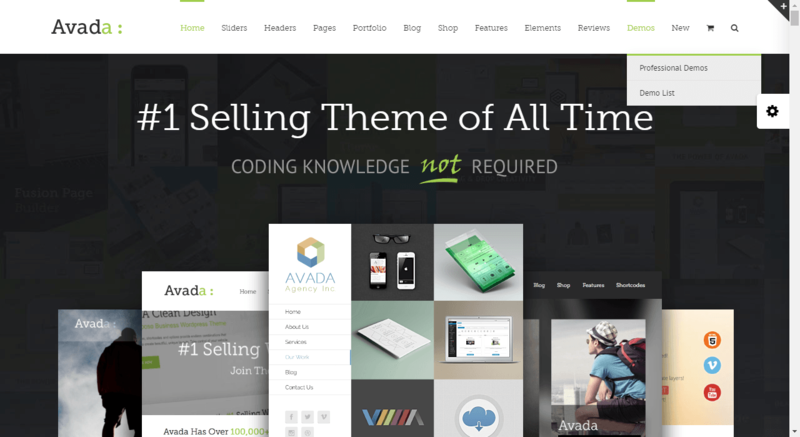 It is another multipurpose WordPress theme. It caters almost all of your needs while designing a website. 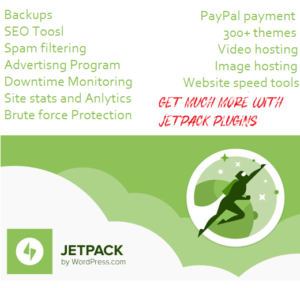 It has a flexible framework and is powered by Fusion Core plugin, which includes a set of tools like Fusion Builder, our easy-to- use visual page builder. The fusion Builder enables you to visually drag and drop elements to build an exclusive web page. This drag – drop tool is loaded with shortcodes which provide you some wonderful customization options. It comes with a fully responsive Framework. Total is one of the most wanted multipurpose themes. It ensures an amazing user experience to the visitors every time they visit your website. It has an extremely easy to use admin panel which empowers you with simple customization options. It comes with built-in custom post types for portfolios and best available sliders LayerSlider and Slider Revolution. It is powered with an easy drag and drop editor which enables you to create web pages quickly. It comes with a Visual Composer. It includes four premium plugins. 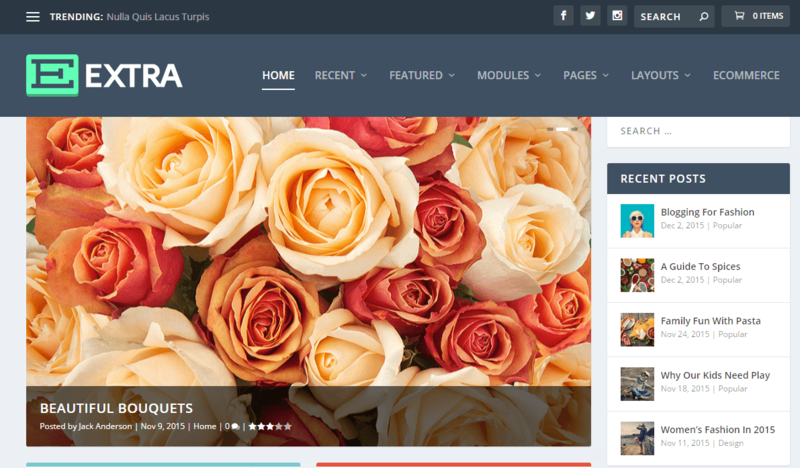 Extra is a well-crafted WordPress theme. It has a beautiful and user-friendly design. Extra is fully responsive and can be optimized for any screen size easily. It comes with built-in review functionality. It comes with multiple layouts. It comes with a post and page builder. It includes the option of Category Builder. 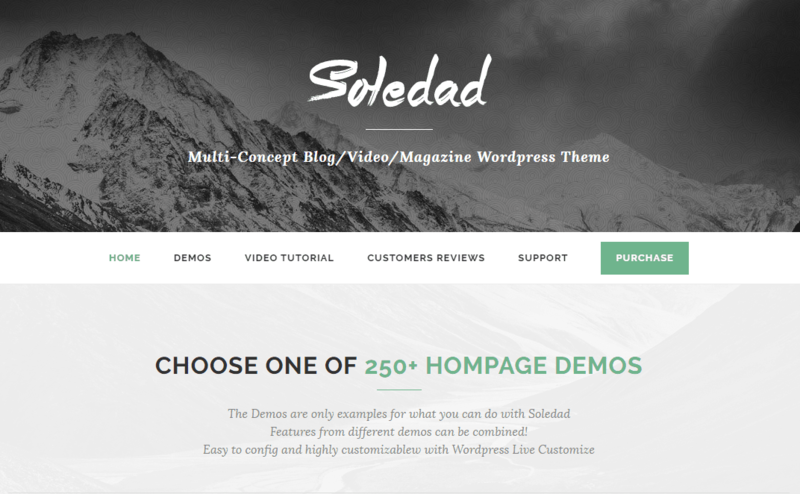 Soledad is an elegant WordPress theme. It can be used for a vast range of websites. The quality design of Soledad has impressed a lot of developers. It has received positive reviews from almost all the users. It has a responsive layout and can fit a mobile, desktop or a tablet screen easily. It offers more than 100 sliders and blog layouts combinations. Choosing an effective theme for your website is a vital factor in defining the success of your website. The popularity of your website will somehow depend on the theme you have selected. Although you need to choose it according to your requirements, it must fulfill the basic design needs of your website. The above given themes have almost everything required for a good wordPress website. You can pick any of them depending upon your needs. Mary Scott is professional WordPress Developer and Currently Working with Stellen Infotech Pvt. Ltd, a renowned firm, providing WordPress Theme Customization Services across the globe. She is a passionate writer and has actively writing useful blogs and articles about technical stuffs.